Have a direct mail or fulfillment project? At GGPMS we have the services you need all under one roof! From high quality full color printing with targeted lists (VDP) to direct mail, kit/package fulfillment and more, we provide a seamless and responsive direct mail and fulfillment solutions. Our highly skilled team will work with you directly to ensure all your project details are accurate, and go smoothly and on time! And, as a USPS-recognized mail house, we have access to the latest mailing rates, services, and postal regulations. All combined, we deliver fast turnaround times and high quality at a price you can afford. Want to save time and money? Who doesn’t? At GGPMS we offer complete mail house services. Instead of lugging your entire project to the post office, just leave it to us. 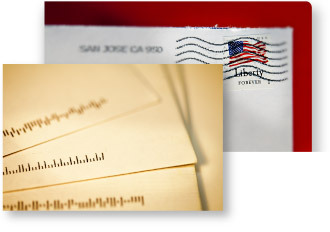 We can print, address, package, bind and post it—efficiently and easily. Let us help boost the Return on Investment (ROI) of your organization’s next marketing effort!